What Is Dispensationalism and What Does It Have to Do with Lordship Salvation? One of the most confusing elements of the entire lordship controversy involves dispensationalism. Some have supposed that my attack on no-lordship theology is an all-out assault against dispensationalism. That is not the case. It may surprise some readers to know that the issue of dispensationalism is one area where Charles Ryrie, Zane Hodges, and I share some common ground. We are all dispensationalists. Many people are understandably confused by the term dispensationalism. I’ve met seminary graduates and many in Christian leadership who haven’t the slightest idea how to define dispensationalism. How does it differ from covenant theology? What does it have to do with lordship salvation? Perhaps we can answer those questions simply and without a lot of theological jargon. Dispensationalism is a system of biblical interpretation that sees a distinction between God’s program for Israel and His dealings with the church. It’s really as simple as that. A dispensation is the plan of God by which He administers His rule within a given era in His eternal program. Dispensations are not periods of time, but different administrations in the eternal outworking of God’s purpose. It is especially crucial to note that the way of salvation—by grace through faith—is the same in every dispensation. God’s redemptive plan remains unchanged, but the way He administers it will vary from one dispensation to another. Dispensationalists note that Israel was the focus of God’s redemptive plan in one dispensation. The church, consisting of redeemed people including Jews and Gentiles, is the focus in another. All dispensationalists believe at least one dispensation is still future—during the thousand-year reign of Christ on earth, known as the millennium, in which Israel will once again play a pivotal role. Dispensationalism teaches that all God’s remaining covenant promises to Israel will be literally fulfilled—including the promises of earthly blessings and an earthly messianic kingdom. God promised Israel, for example, that they would possess the promised land forever ( Gen. 13:14–17 ; Exod. 32:13 ). Scripture declares that Messiah will rule over the kingdoms of the earth from Jerusalem ( Zech. 14:9–11 ). Old Testament prophecy says that all Israel will one day be restored to the promised land ( Amos 9:14–15); the temple will be rebuilt ( Ezek. 37:26–28 ); and the people of Israel will be redeemed ( Jer. 23:6 ; Rom. 11:26–27). Dispensationalists believe all those promised blessings will come to pass as literally as did the promised curses. Covenant theology, on the other hand, usually views such prophecies as already fulfilled allegorically or symbolically. Covenant theologians believe that the church, not literal Israel, is the recipient of the covenant promises. They believe the church has superseded Israel in God’s eternal program. God’s promises to Israel are therefore fulfilled in spiritual blessings realized by Christians. Since their system does not allow for literal fulfillment of promised blessings to the Jewish nation, covenant theologians allegorize or spiritualize those prophetic passages of God’s Word. I am a dispensationalist because dispensationalism generally understands and applies Scripture—particularly prophetic Scripture—in a way that is more consistent with the normal, literal approach I believe is God’s design for interpreting Scripture. For example, dispensationalists can take at face value Zechariah 12–14 , Romans 11:25–29 , and Revelation 20:1–6. The covenant theologian, on the other hand, cannot. So I am convinced that the dispensationalist distinction between the church and Israel is an accurate understanding of God’s eternal plan as revealed in Scripture. I have not abandoned dispensationalism, nor do I intend to. Note, by the way, that Dr. Ryrie’s description of dispensationalism and his reasons for embracing the system are very similar to what I have written here. Some years ago he wrote, “The essence of dispensationalism, then, is the distinction between Israel and the church. This grows out of the dispensationalist’s consistent employment of normal or plain interpretation” (Charles Ryrie. Dispensationalism Today. Chicago: Moody Press, 1965, 47). On these matters, it seems, Dr. Ryrie and I are in fundamental agreement. It is in the practical outworking of our dispensationalism that we differ. Dr. Ryrie’s system turns out to be somewhat more complex than his own definition might suggest. The lordship debate has had a devastating effect on dispensationalism. Because no-lordship theology is so closely associated with dispensationalism, many have imagined a cause-and-effect relationship between the two. In The Gospel According to Jesus, I made the point that some early dispensationalists had laid the foundation for no-lordship teaching. I disagreed with dispensational extremists who relegate whole sections of Scripture—including the Sermon on the Mount and the Lord’s Prayer—to a yet-future kingdom era. I was critical of the way some dispensationalists have handled the preaching and teaching of Jesus in a way that erases the evangelistic intent from some of His most important invitations. I decried the methodology of dispensationalists who want to isolate salvation from repentance, justification from sanctification, faith from works, and Christ’s lordship from His role as Savior, in a way that breaks asunder what God has joined together. Several outspoken anti-dispensationalists hailed the book as a major blow to dispensationalism. They wanted to declare the system dead and hold a celebratory funeral. Frankly, some mongrel species of dispensationalism ought to die, and I will be happy to join the cortege. But it is wrong to write off dispensationalism as altogether invalid. My purpose is not to attack the roots of dispensationalism, but rather to plead for a purer, more biblical application of the literal, historical, grammatical principle of interpretation. The hermeneutic method that underlies dispensationalism is fundamentally sound and must not be abandoned. That is not the point of the lordship debate. Who are dispensationalists? Virtually all dispensationalists are theologically conservative evangelicals. Our view of Scripture is typically very high; our method of interpretation is consistently literal; and our zeal for spiritual things is inflamed by our conviction that we are living in the last days. How does dispensationalism influence our overall theological perspective? Obviously, the central issue in any dispensationalist system is eschatology, or the study of prophecy. All dispensationalists are premillennialists. That is, they believe in a future earthly thousand-year reign of Christ. That’s what a literal approach to prophecy mandates (cf. Rev. 20:1–10 ). Dispensationalists may disagree on the timing of the rapture, the number of dispensations, or other details, but their position on the earthly millennial kingdom is settled by their mode of biblical interpretation. Dispensationalism also carries implications for ecclesiology, or the doctrine of the church, because of the differentiation between the church and Israel. Many dispensationalists, myself included, agree that there is some continuity between the Old and New Testament people of God in that we share a common salvation purchased by Jesus Christ and appropriated by grace through faith. But dispensationalists do not accept covenant theology’s teaching that the church is spiritual Israel. Covenant theology sees continuity between Jewish ritual and the New Testament sacraments, for example. In their system, baptism and circumcision have similar significance. 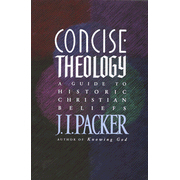 In fact, many covenant theologians use the analogy of circumcision to argue for infant baptism. Dispensationalists, on the other hand, tend to view baptism as a sacrament for believers only, distinct from the Jewish rite. So dispensationalism shapes one’s eschatology and ecclesiology. That is the extent of it. Pure dispensationalism has no ramifications for the doctrines of God, man, sin, or sanctification. More significantly, true dispensationalism makes no relevant contribution to soteriology, or the doctrine of salvation. In other words, nothing in a legitimate dispensational approach to Scripture mandates that we define the gospel in any unique or different way. In fact, if the same zealous concern for literal hermeneutics that yields a distinction between Israel and the church were followed consistently in the salvation issue, there would be no such thing as no-lordship soteriology. What Is the Connection Between Dispensationalism and No-lordship Doctrine? Yet the fact remains that virtually all the champions of no-lordship doctrine are dispensationalists. No covenant theologian defends the no-lordship gospel. Why? Understand, first of all, that dispensationalism has not always been well represented by its most enthusiastic advocates. As I have noted, the uniqueness of dispensationalism is that we see a distinction in Scripture between Israel and the church. That singular perspective, common to all dispensationalists, sets us apart from nondispensationalists. It is, by the way, the only element of traditional dispensationalist teaching that is yielded as a result of literal interpretation of biblical texts. It also is the only tenet virtually all dispensationalists hold in common. That is why I have singled it out as the characteristic that defines dispensationalism. When I speak of “pure” dispensationalism, I’m referring to this one common denominator—the Israel-church distinction. Admittedly, however, most dispensationalists carry far more baggage in their systems than that one feature. Early dispensationalists often packaged their doctrine in complex and esoteric systems illustrated by intricate diagrams. They loaded their repertoire with extraneous ideas and novel teachings, some of which endure today in various strains of dispensationalism. Dispensationalism’s earliest influential spokesmen included J. N. Darby, founder of the Plymouth Brethren and considered by many the father of modern dispensationalism; Cyrus I. Scofield, author of the Scofield Reference Bible; Clarence Larkin, whose book of dispensational charts has been in print and selling briskly since 1918; and Ethelbert W. Bullinger, an Anglican clergyman who took dispensationalism to an unprecedented extreme usually called ultradispensationalism. Many of these men were self-taught in theology and were professionals in secular occupations. Darby and Scofield, for example, were attorneys, and Larkin was a mechanical draftsman. They were laymen whose teachings gained enormous popularity largely through grass-roots enthusiasm. Unfortunately some of these early framers of dispensationalism were not as precise or discriminating as they might have been had they had the benefit of a more complete theological education. C. I. Scofield, for example, included a note in his reference Bible that contrasted “legal obedience as the condition of [Old Testament] salvation” with “acceptance … of Christ” as the condition of salvation in the current dispensation (The Scofield Reference Bible. New York, : Oxford, 1917, 11115). Nondispensationalist critics have often attacked dispensationalism for teaching that the conditions for salvation differ from dispensation to dispensation. Here, at least, Scofield left himself open to that criticism, though he seemed to acknowledge in other contexts that the law was never a means of salvation for Old Testament saints (In a note at Exodus 19:3, where Moses was being given the law, Scofield wrote, “The law is not proposed as a means of life, but as a means by which Israel might become ‘a peculiar treasure’ and a ‘kingdom of priests” (Ibid, 93). The maturing of dispensationalism, then, has mainly been a process of refining, distilling, clarifying, paring down, and cutting away what is extraneous or erroneous. Later dispensationalists, including Donald Grey Barnhouse, Wilbur Smith, and H. A. Ironside, were increasingly wary of the fallacies that peppered much early dispensationalist teaching. Ironside’s written works show his determination to confront error within the movement. He attacked Bullinger’s ultradispensationalism (Wrongly Dividing the Word of Truth. New York: Loizeaux, n.d.). He criticized teaching that relegated repentance to some other era (Except Ye Repent. Grand Rapids: Zondervan, 1937). He condemned the “carnal Christian” theology that helped pave the way for today’s radical no-lordship teaching (Eternal Security of Believers. New York: Loizeaux, 1934). Ironside’s writings are replete with warnings against antinomianism (See, for example, Full Assurance. Chicago: Moody, 1937, 64, 77-87; also Holiness: The False and the True. Neptune, N.J.: Loizeaux, 1912, 121-26). Nondispensationalists have tended to caricature dispensationalism by emphasizing its excesses, and frankly the movement has produced more than its share of abominable teaching. 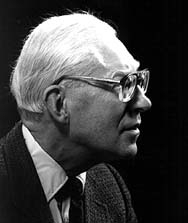 Dispensationalists have often been forced to acknowledge that some of their critics’ points have been valid (Ryrie, for example, conceded in Dispensationalism Today that Scofield had made “unguarded statements” about dispensationalist soteriology and that dispensationalists often give a wrong impression about the role of grace during the Old Testament era (112,117). The biblical distinction between Israel and the church remains unassailed, however, as the essence of pure dispensationalism. In recent years, dispensationalism has been hit with a blistering onslaught of criticism, mostly focusing on dispensationalism’s love affair with the no-lordship gospel. Evidence of this may be seen in John Gerstner’s Wrongly Dividing the Word of Truth: A Critique of Dispensationalism (Brentwood, Tenn.: Wolgemuth & Hyatt, 1991. Cf. Richard L. Mayhue, “Who Is Wrong? A Review of John Gerstner’s Wrongly Dividing the Word of Truth,” Master’s Seminary Journal 3:1, Spring 1992: 73-94). Gerstner rightly attacks elements of antinomianism and no-lordship soteriology in some dispensationalists’ teaching. He wrongly assumes, however, that those things are inherent in all dispensationalism. He dismisses the movement altogether because of the shoddy theology he finds in the teaching of several prominent dispensationalists. It is a gross misunderstanding to assume that antinomianism is at the heart of dispensationalist doctrine. Moreover, it is unfair to portray all dispensationalists as unsophisticated or careless theologians. Many skilled and discerning students of Scripture have embraced dispensationalism and managed to avoid antinomianism, extremism, and other errors. The men who taught me in seminary were all dispensationalists. Yet none of them would have defended no-lordship teaching (Moreover, everyone on The Master’s Seminary faculty is a dispensationalist. None of us holds any of the antinomian views Dr. Gerstner claims are common to all dispensationalists). Nevertheless, no one can deny that dispensationalism and antinomianism have often been advocated by the same people. All the recent arguments that have been put forth in defense of no-lordship theology are rooted in ideas made popular by dispensationalists. The leading proponents of contemporary no-lordship theology are all dispensationalists. The lordship controversy is merely a bubbling to the surface of tensions that have always existed in and around the dispensationalist community. That point is essential to a clear understanding of the whole controversy. Thus to appreciate some of the key tenets of the no-lordship gospel, we must comprehend their relationship to the dispensationalist tradition. For some dispensationalists, the Israel-church distinction is only a starting point. Their theology is laden with similar contrasts: church and kingdom, believers and disciples, old and new natures, faith and repentance. Obviously, there are many important and legitimate distinctions found in Scripture and sound theology: Old and New Covenants, law and grace, faith and works, justification and sanctification. But dispensationalists often tend to take even the legitimate contrasts too far. Most dispensationalists who have bought into no-lordship doctrine imagine, for example, that law and grace are mutually exclusive opposites, or that faith and works are somehow incompatible. Some dispensationalists apply 2 Timothy 2:15 (“Study to show thyself approved unto God, a workman that needeth not to be ashamed, rightly dividing the word of truth ”— kjv , emphasis added) as if the key word were dividing rather than rightly. The dispensationalist tendency to divide and contrast has led to some rather inventive exegesis. Some dispensationalists teach, for example, that “the kingdom of heaven” and “the kingdom of God” speak of different domains (Scofield, The Scofield Reference Bible, 1003). The terms are clearly synonymous in Scripture, however, as a comparison of Matthew and Luke shows ( Matt. 5:3 // Luke 6:20 ; Matt. 10:7 // Luke 10:9 ; Matt. 11:11 // Luke 7:28 ; Matt. 11:12 // Luke 16:16 ; Matt. 13:11 // Luke 8:10 ; Matt. 13:31–33 // Luke 13:18–21 ; Matt. 18:4 // Luke 18:17 ; Matt. 19:23 // Luke 18:24 ). Matthew is the only book in the entire Bible that ever uses the expression “kingdom of heaven.” Matthew, writing to a mostly Jewish audience, understood their sensitivity to the use of God’s name. He simply employed the common euphemism heaven. Thus the kingdom of heaven is the kingdom of God. This tendency to set parallel truths against each other is at the heart of no-lordship theology. Jesus’ lordship and His role as Savior are isolated from one another, making it possible to claim Him as Savior while refusing Him as Lord. Justification is severed from sanctification, legitimizing the notion of salvation without transformation. Mere believers are segregated from disciples, making two classes of Christians, carnal and spiritual. Faith is pitted against obedience, nullifying the moral aspect of believing. Grace becomes the antithesis of law, providing the basis for a system that is inherently antinomian. According to the Old Testament men were just because they were true and faithful in keeping the Mosaic Law. Micah defines such a life after this manner: “He hath shewed thee, O man, what is good; and what doth the Lord require of thee, but to do justly, and to love mercy, and to walk humbly with thy God?” ( 6:8 ). Men were therefore just because of their own works for God, whereas New Testament justification is God’s work for man in answer to faith ( Rom. 5:1 – See Lewis Sperry Chafer, Systematic Theology, 8 vols., Dallas: Seminary Press, 1948, 7:219 [emphasis added] ). Though Chafer elsewhere denied that he taught multiple ways of salvation, it is clear that he fixed a great gulf between grace and law. He believed the Old Testament law imposed “an obligation to gain merit” with God (Ibid, 7:179). On the other hand, Chafer believed grace delivers the child of God “from every aspect of the law—as a rule of life, as an obligation to make himself acceptable to God, and as a dependence on impotent flesh” (Lewis Sperry Chafer, Grace, Wheaton, Ill.: Van Kampen, 1922, 344). “Grace teachings are not laws; they are suggestions. They are not demands; they are beseechings, ” he wrote (Ibid). Both the age before the cross and the age following the return of Christ represent the exercise of pure law; while the period between the two ages represents the exercise of pure grace. It is imperative, therefore, that there shall be no careless co-mingling of these great age-characterizing elements, else the preservation of the most important distinctions in the various relationships between God and man are lost, and the recognition of the true force of the death of Christ and His coming again is obscured (Ibid, 124, emphasis added). No one denies that Scripture clearly contrasts law and grace. John 1:17 says, “The Law was given through Moses; grace and truth were realized through Jesus Christ.” Romans 6:4 says, “You are not under law, but under grace.” So the distinction between law and grace is obvious in Scripture. But grace and law operate in every dispensation. Grace is and always has been the only means of eternal salvation. The whole point of Romans 4 is that Abraham, David, and all other Old Testament saints were justified by grace through faith, not because they kept the law (Galatians 3 also makes clear that it was never God’s intent that rightoeusness should come through the law or that slavation could be earned through obedience [see especially vv. 7, 11]. The law acted as a tutor, to bring people to Christ (v. 24). Thus even in the Old Testament, people were saved because of faith, not because of obedience to the law [cf. Romans 3:19-20). Did the apostle Paul believe we can nullify the law in this age of pure grace? Paul’s reply to that question was unequivocal: “May it never be! On the contrary, we establish the Law” ( Rom. 3:31 ). In fairness, it is important to note that when pressed on the issue, Chafer acknowledged that God’s grace and Christ’s blood were the only ground on which sinners in any age could be saved (Lewis Sperry Chafer, “Dispensational Distinctions Denounced,” Bibliotheca Sacra, July 1944: 259). It must be stressed, however, that Chafer, Scofield, and others who have followed their lead have made too much of the differences between Old and New Testament dispensations. Wanting to avoid what he thought was “careless co-mingling” of law and grace, Chafer ended up with an “age of law” that is legalistic and an “age of grace” that smacks of antinomianism. Chafer himself was a godly man, committed to holiness and high standards of Christian living. In practice, he would never have condoned carnality. But his dispensationalist system—with the hard dichotomies it introduced; its “grace teachings” that were “suggestions,” not demands; and its concept of “pure” grace that stood in opposition to law of any kind—paved the way for a brand of Christianity that has legitimized careless and carnal behavior. Chafer could rightly be called the father of twentieth-century no-lordship theology. He listed repentance and surrender as two of “the more common features of human responsibility which are too often erroneously added to the one requirement of faith or belief” (Chafer, Systematic Theology, 3:372). He wrote, “to impose a need to surrender the life to God as an added condition of salvation is most unreasonable. God’s call to the unsaved is never said to be unto the Lordship of Christ; it is unto His saving grace” (Ibid, 3:385). “Next to sound doctrine itself, no more important obligation rests on the preacher than that of preaching the Lordship of Christ to Christians exclusively, and the Saviorhood of Christ to those who are unsaved” (Ibid, 3:387). The error of imposing Christ’s Lordship upon the unsaved is disastrous.… A destructive heresy is abroad under the name The Oxford Movement, which specializes in this blasting error, except that the promoters of the Movement omit altogether the idea of believing on Christ for salvation and promote exclusively the obligation to surrender to God. They substitute consecration for conversion, faithfulness for faith, and beauty of daily life for believing unto eternal life. As is easily seen, the plan of this movement is to ignore the need of Christ’s death as the ground of regeneration and forgiveness, and to promote the wretched heresy that it matters nothing what one believes respecting the Saviorhood of Christ if only the daily life is dedicated to God’s service.… The tragedy is that out of such a delusion those who embrace it are likely never to be delivered by a true faith in Christ as Savior. No more complete example could be found today of “the blind leading the blind” than what this Movement presents (Ibid, 3:385-386). But Chafer prescribed the wrong remedy for the false teachings of the Oxford Movement. To answer a movement that “omit[s] altogether the idea of believing on Christ for salvation and promote[s] exclusively the obligation to surrender to God,” he devised a notion of faith that strips believing of any suggestion of surrender. Although the movement he opposed was indeed an insidious error, Chafer unfortunately laid the foundation for the opposite error, with equally devastating results. The notion of faith with no repentance and no surrender fit well with Chafer’s concept of an age of “pure grace,” so it was absorbed and expanded by those who developed their theology after his model. It endures today as the basis of all no-lordship teaching. The grace teachings are not, for convenience, isolated in the Sacred Text. The three economies appear in the four Gospels. The grace teachings are rather to be identified by their intrinsic character wherever they are found. Large portions of the New Testament are wholly revelatory of the doctrine of grace. The student, like Timothy, is enjoined to study to be one approved of God in the matter of rightly dividing the Scriptures (Ibid, 4:185). There is a dangerous and entirely baseless sentiment abroad which assumes that every teaching of Christ must be binding during this age simply because Christ said it. The fact is forgotten that Christ, while living under, keeping, and applying the Law of Moses, also taught the principles of His future kingdom, and, at the end of His ministry and in relation to His cross, He also anticipated the teachings of grace. If this threefold division of the teachings of Christ is not recognized, there can be nothing but confusion of mind and consequent contradiction of truth (Ibid, 4:224). Dispensationalists who follow Chafer at this point wrongly divide the Word of truth, assigning whole sections of the New Testament to some other dispensation, nullifying the force of major segments of the Gospels and our Lord’s teaching for today (Ultradispensationalists take Chafer’s methodology even a step further. Noting that the apostle Paul called the church a mystery “which in other generations was not made known to the sons of men, as it has now been revealed to His holy apostles and prophets in the Spirit” [Eph. 3:5], they concluded that the church age did not begin until this point in Paul’s ministry. Thus they abrogate all the New Testament except for Paul’s prison epistles). Which Gospel Should We Preach Today? Note carefully: This man acknowledges that Jesus’ gospel demanded surrender to His lordship. His point is that Jesus’ message has no relevance to this present age. 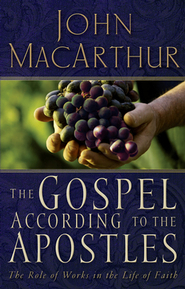 He believes Christians today ought to proclaim a different gospel than the one Jesus preached. He imagines that Jesus’ invitation to sinners was of a different nature than the message the church is called to proclaim. He believes we should be preaching a different gospel. None of those ideas is new or unusual within the dispensationalist community. All of them can be traced to one or more of dispensationalism’s early spokesmen. But it is about time all of them were abandoned. In fairness, we should note that the paper I have quoted expresses some rather extreme views. Most of the principal defenders of no-lordship evangelism would probably not agree with that man’s brand of dispensationalism. But the no-lordship doctrine they defend is the product of precisely that kind of teaching. It is not enough to abandon the rigid forms of extreme dispensationalism; we must abandon the antinomian tendencies as well. The careful discipline that has marked so much of our post-Reformation theological tradition must be carefully guarded. Defenders of no-lordship salvation lean too heavily on the assumptions of a predetermined theological system. They often draw their support from presupposed dispensationalist distinctions (salvation/discipleship, carnal/spiritual believers, gospel of the kingdom/gospel of grace, faith/repentance). They become entangled in “what-ifs” and illustrations. They tend to fall back on rational, rather than biblical, analysis. When they deal with Scripture, they are too willing to allow their theological system to dictate their understanding of the text. As a result, they regularly adopt novel interpretations of Scripture in order to make it conform to their theology. A reminder is in order: Our theology must be biblical before it can be systematic. We must start with a proper interpretation of Scripture and build our theology from there, not read into God’s Word unwarranted presuppositions. Scripture is the only appropriate gauge by which we may ultimately measure the correctness of our doctrine. Dispensationalism is at a crossroads. The lordship controversy represents a signpost where the road forks. One arrow marks the road of biblical orthodoxy. The other arrow, labeled “no-lordship,” points the way to a sub-Christian antinomianism. Dispensationalists who are considering that path would do well to pause and check the map again. The only reliable map is Scripture, not someone’s dispensational diagrams. Dispensationalism as a movement must arrive at a consensus based solely on God’s Word. We cannot go on preaching different gospels to an already-confused world. SOURCE: John MacArthur. “Appenidix 2” in The Gospel According to the Apostles. Nashville: Thomas Nelson, 2005.